A gem in Sapphire Valley, just a short distance to Cashiers, a private escape, a place to rediscover your family bonds. A place where the outdoors is yours and the fresh mountain air refreshes your life. A view so majestic and lakes so inviting...... 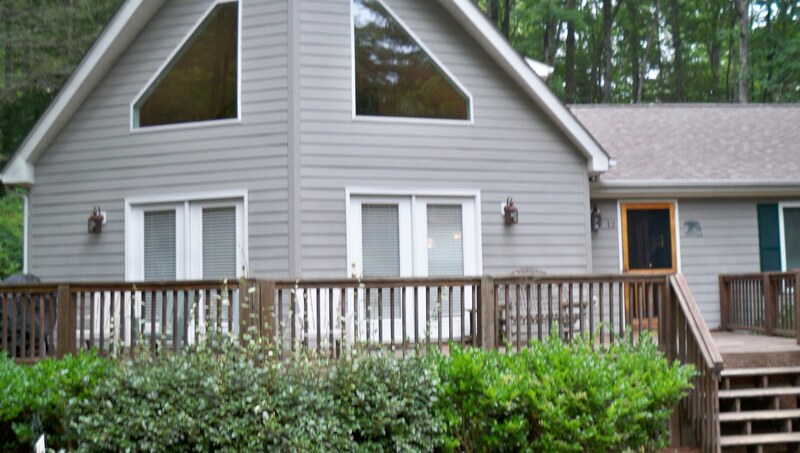 The Dogwood House ..... a former Model Home.... is your private retreat in this mountain paradise. This home sleeps 10 with all the comforts of home. Fully equipped new granite kitchen for your culinary delights, cozy linens provided, comfy living area, and great deck with mountain views & 4 flat screened TV's. Start the day gently rocking in the rocking chairs on the deck enjoying a morning hot cup of coffee and end the day cozy up to the fireplace in the winter or plunge into one of the clubhouse pools or the beautiful Sapphire Lake! Activities galore in the community will entertain you for the entire duration of your stay! The Dogwood House is more than just a house - it's home. Escape to the mountains -- The Dogwood House awaits your arrival. Special rates for long weekends! Located beyond the Guard Gate in the Estate Home section of Sapphire but walking distance to most all amenities which are included!